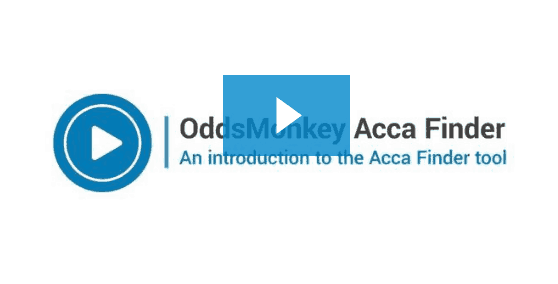 OddsMonkey launched the Acca Finder in May 2017 and the response from matched betters was....this is awesome!! What is the Acca Finder? The Acca Finder automatically provides you with the most profitable accumulators for every bookmaker that offers Football Accumulator Refunds. It is a better tool for lay sequential method and lay sequential lock in method than the Acca Matcher. Once you have selected your bookmakers, click Apply. 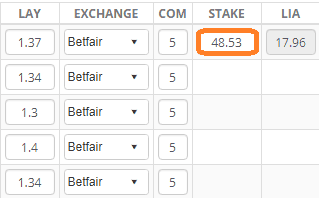 If you only use Betfair or Smarkets, you can select just one of the exchanges in the filter directly below the bookmaker list. Not sure which bookmaker(s) to select? I recommend checking out the Best Accumulator Offers guide! The Acca Finder will show you the most profitable accumulators available for that bookmaker. Should you simply choose the Acca with the highest EV? I will do so, but only if the 5 teams are from major leagues. So if there are teams from minor leagues, then I will scroll down until I see an acca with 5 teams from the major leagues. 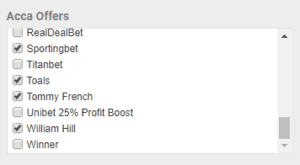 The £7.91 expected value is the profit you are expected to make from this £50 accumulator using the Lay Sequential Method. 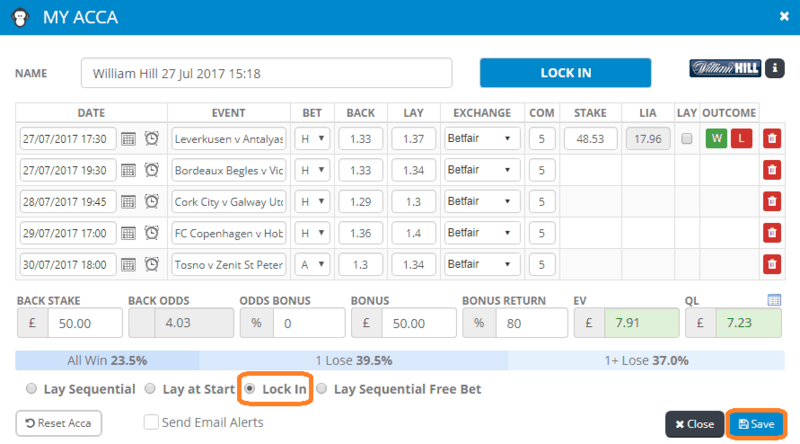 I recommend instead using Lay Sequential Lock In Method as this guarantees you a profit from every accumulator. The EV will be slightly lower than the EV shown due to slightly higher exchange commission paid as you are continuing to lay off the accumulator until 2 teams have lost. This column only applies to Lay Sequential Method. You can ignore this column if using the Lock In method. The -£7.89 qualifying loss is the loss you will make every time from this £50 accumulator when using the Lay Sequential Method. However, as you will receive a £50 free bet approximately 40% of the time, in the long term you will make a £7.91 net profit from each accumulator you place (the Expected Value figure). If you haven't yet, I would recommend reading the Lay Sequential and Lay Sequential Lock In guides. You can see the QL has now changed from -£7.89 loss to £7.23 profit. This £7.23 profit represents the guaranteed profit you will make from this £50 accumulator using the Lay Sequential Lock In Method. The EV stays at £7.91 as this is the Expected Value should you wish to switch to using the Lay Sequential Method instead. Once you have selected your lay method, click Save on the bottom right, as circled in the screenshot above. Head to the bookmaker website and select the 5 teams and select the accumulator/multiple/fivefold in the betslip. You can also use tell from the bookmaker odds as you will always be backing the lowest odds team! In this example, your lay stake is £48.53 with a £17.96 liability. Simply place this lay bet in the exchange and now it's time to sit back and relax until the result is in! Also check the Lay box to confirm you layed the bet. 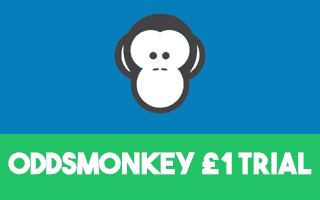 Once your acca is complete, enjoy the profit risk free! The 6 steps may seem like they will take a while to learn but once you have done a few football accumulators, you feel just as comfortable completing these offers as you do simple Bet X Get Y offers! Facebook Group - Ask 2,000+ fellow matched bettors (including me!) any questions you have. Join the Group! Live Chat - Chat with me any time I'm online. See the chat module at the bottom right of site.